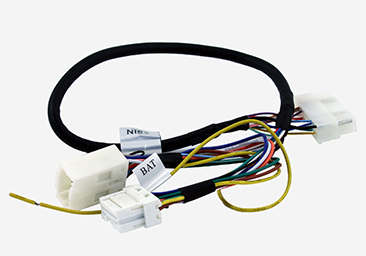 Integrated Bluetooth Car Interface Nissan 350Z 2004 2005 2006 2007 2008 2009 adds Hands Free Calling and Wireless Audio to the original factory Nissan 350Z 2004 2005 2006 2007 2008 2009 car stereo. 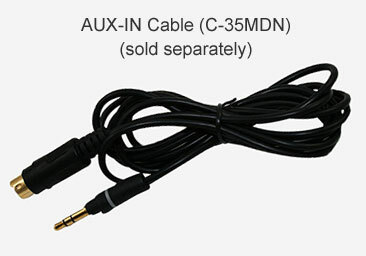 The system comes with built-in Bluetooth and microphone. 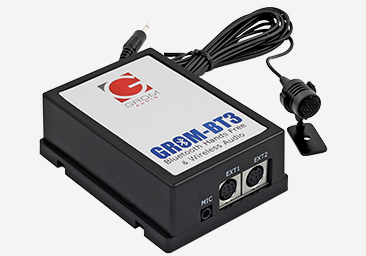 GROM-BT3 Bluetooth Nissan 350Z 2004 2005 2006 2007 2008 2009 car adapter has two extension ports that can be used for Aux-In 3.5mm audio and HD Radio with optional add-ons that are sold separately. Hands Free Car Phone Calls: Make hands free phone calls in your Nissan 350Z 2004 2005 2006 2007 2008 2009 car (HFP), accept or reject phone call using car stereo or steering wheel button, and talk using car stereo speakers and provided microphone. 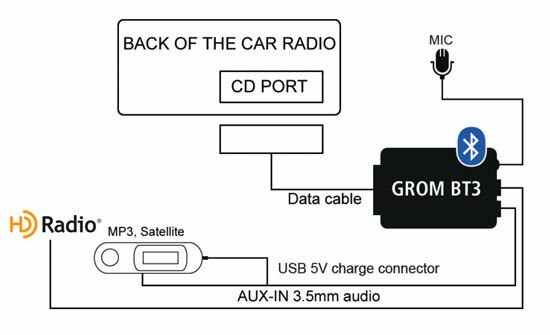 Wireless music streaming: Stream music from smartphone to the factory Nissan 350Z 2004 2005 2006 2007 2008 2009 stereo via Bluetooth wireless audio (A2DP), control music with the Nissan 350Z 2004 2005 2006 2007 2008 2009 car stereo buttons or steering wheel controls (AVRCP). 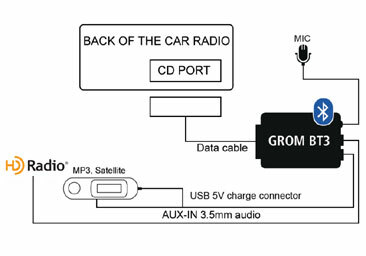 GROM Nissan 350Z 2004 2005 2006 2007 2008 2009 Bluetooth car kit is compatible with all smartphones, Android and iPhone and with all audio streaming phone applications or players (Spotify, Pandora and others). 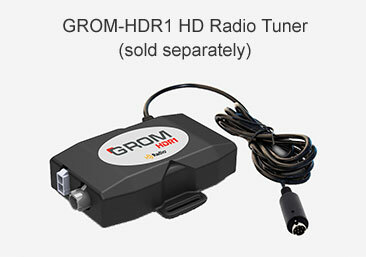 Q.: Will my steering wheel controls work with GROM-BT3 Bluetooth car adapter for Nissan 350Z 2004 2005 2006 2007 2008 2009 ?